American singer and songwriter, record producer, arranger and talent scout Otis Ray Redding, Jr. was tragically killed in a plane crash on December 10 1967. Born September 9, 1941 . He is considered one of the greatest singers in popular music and a major artist in soul music and rhythm and blues. His singing style has been influential among the soul artists of 1960s and helped exemplify the Stax Sound. After appearing at the 1967 Monterey Pop Festival, he wrote and recorded “(Sittin’ On) The Dock of the Bay” with Steve Cropper. Born and raised in Georgia, United States, ‘Rdding left school at age 15 to support his family by working with Little Richard’s backing band, the Upsetters and by performing at talent shows for prize money. In 1958, he joined Johnny Jenkins’ band, the Pinetoppers, and toured the Southern United States as driver and musician. An unscheduled appearance on a Stax recording session led to a contract and his first single, “These Arms of Mine”, in 1962. Stax released Redding’s debut album, Pain in My Heart, two years later.Initially popular mainly with African Americans, Redding later reached the broader American popular music audience. He and his group first played small gigs in the South, then played for the first time in the western United States, at the Whisky a Go Go. Redding later performed in Paris, London and other European cities before he was tragically Killed In a plane crash . following Redding’s tragic death (Sittin’ On) The Dock of the Bay became the first posthumous number-one record on both the Billboard Hot 100 andR&B charts after his death in a plane crash. The Dock of the Bay also became the first posthumous album to reach number one on the UK Albums Chart. His premature death devastated Stax, already on the verge of bankruptcy. The label soon discovered that Atlantic Records owned the rights to Redding’s entire catalog. Redding received many posthumous accolades, including the Grammy Lifetime Achievement Award and induction into the Rock and Roll Hall of Fame and the Songwriters Hall of Fame. He received the honorific “King of Soul”. In addition to “(Sittin’ On) The Dock of the Bay,” “Respect” and “Try a Little Tenderness” are among his most well-known songs. The Analyst, Metaphysician, and Founder of Scientific Computing, Augusta Ada King, Countess of Lovelace was born on 10th December 1815. Born Augusta Ada Byron and now commonly known as Ada Lovelace, she was the daughter of Lord Byron and is remembered as a mathematician and writer chiefly known for her work on Charles Babbage’s early mechanical general-purpose computer, the Analytical Engine. Her notes on the engine include what is recognised as the first algorithm intended to be processed by a machine. Because of this, she is often considered the world’s first computer programmer and left a legacy as role model for young women entering technology careers.Ada was the only legitimate child born during a brief marriage between the poet Lord Byron and Anne Isabella Byron). She had no relationship with her father, who separated from her mother just a month after Ada was born, and four months later he left England forever and died in Greece in 1823 leaving her mother to raise her single-handedly, Her life was an apotheosis of struggle between emotion and reason, subjectivism and objectivism, poetics and mathematics, ill health and bursts of energy. Many governmental and nongovernmental organizations active in the human rights field also schedule special events to commemorate the day, as do many civil and social-cause organizations.The theme for 2006 was the struggle against poverty, taking it as a human rights issue. Several statements were released on that occasion, including the one issued by 37 United Nations Special Procedures mandate holders“Today, poverty prevails as the gravest human rights challenge in the world. Combating poverty, deprivation andexclusion is not a matter of charity, and it does not depend on how rich a country is. By tackling poverty as a matter of human rights obligation, the world will have a better chance of abolishing this scourge in our lifetime… Poverty eradication is an achievable goal.”—UN High Commissioner for Human Rights Louise Arbour, 10 December 2006The 60th anniversary of the Universal Declaration of Human Rights occurred on 10 December 2008, and the UN Secretary-General launched a year-long campaign leading up to this anniversary. Because the UDHR holds the world record as the most translated document, except for the Bible, organizations around the globe used the year to focus on helping people everywhere learn about their rights. Commonly named among the Great American Novels, Mark Twain’s Adventures of Huckleberry Finn was first published on 10th December 1884. It was among the first piece of major American literature to be written in the vernacular, characterized by local color regionalism & is told in the first person by Huckleberry “Huck” Finn, a friend of Tom Sawyer and narrator of two other Twain novels (Tom Sawyer Abroad and Tom Sawyer, Detective). 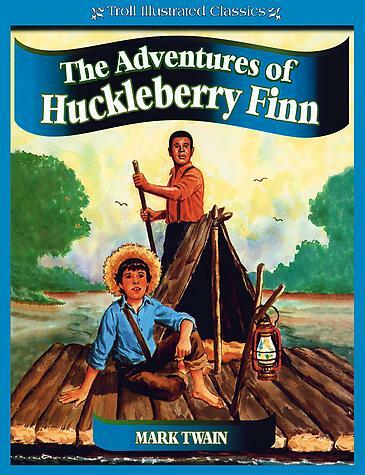 It is a sequel to The Adventures of Tom Sawyer & is noted for its colorfl description of people and places along the Mississippi River.Satirizing a Southern antebellum society that had ceased to exist about twenty years before the work was published, Adventures of Huckleberry Finn is an often scathing look at entrenched attitudes, particularly racism.Perennially popular with readers, Adventures of Huckleberry Finn has also been the continued object of study by serious literary critics since its publication. It was criticized upon release because of its coarse language and became even more controversial in the 20th century because of its perceived use of racial stereotypes, despite strong arguments that the protagonist & tenor of the book, is anti-racist & explores notions of race and identity & highlights the hypocrisy required to condone slavery within an ostensibly moral system.